Angular 2 is out and if you haven’t, you should definitely check out angular.io, because the most valuable beginner material is in their Getting Started guide and the following Tour of Heroes. Angular projects require quite a bit of setup with Angular 2, unlike most of Angular 1, which is a little inconvenient if you just quickly want to try out a couple of things and test the framework to see if it fits your needs, luckily there is a angular-cli that creates a boilerplate project for you whenever you feel like it. 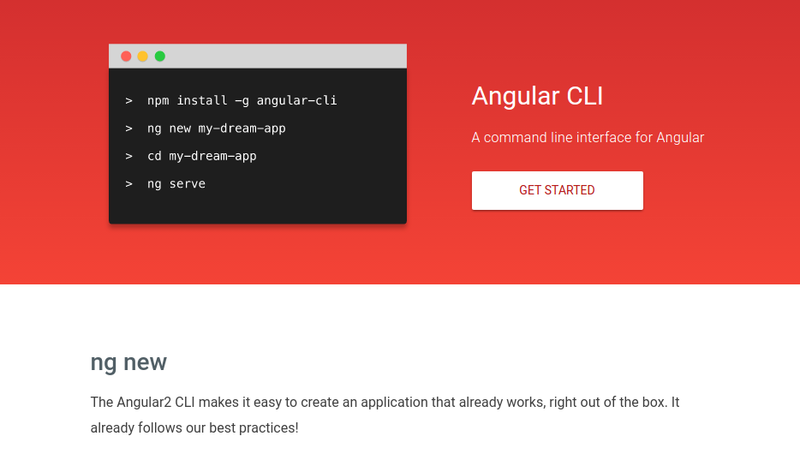 Getting started with a fresh Angular project is pretty easy using angular-cli. Basically it takes care of initialising an Angular project including Typescript, webpack bundling and development server support. which leaves you with a project that will show you a simple view and has the files that are common for most Angular projects, like the app.components and app.modules files. I must say, angular-cli takes a lot of the setup process away, the only problem is that it’s a little less explicit than having your own starter set and that the webpack configuration isn’t directly exposed. Previous Previous post: vnstat – Error: Interface “eth0” not available, exiting.